This edition of CRUcial Times focuses on the theme of “The Role of formal support in building better lives“. Good support requires collaboration: unique design for a Good Life. Sharon Bourke lives in regional Queensland and is the mother of three children, two of whom have lived with disability. In this article Sharon shares insights learned and developed with her son Dan. 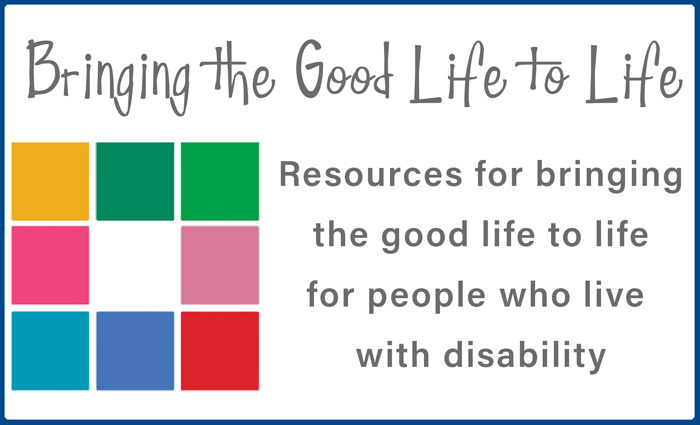 She discusses how people with disability and their families work to increase the chances that quality support is provided in an enduring way. Sharon has worked in various roles in the sector, including managing support agencies, facilitating workshops and planning with families. She is committed to supporting individualised and quality support options for people with disability and their families. Being in control of our supports and other tales of irony. Karin Swift has worked in a wide variety of roles in both community and government settings over the years. She is President of Women With Disabilities Australia (WWDA), is on the Management Committee of AMPARO Advocacy and is employed as a Project Officer at Queenslanders with Disability Network (QDN). Karin has worked proactively with her service provider in managing her individualised supports since she moved out of home over 23 years ago. For the past 19 years she has shared a home with her husband David who also lives with a disability and receives formal, individualised supports. Valuing expert advice and support. Sue Duncan-Kemp is currently involved in the provision of NDIS Early Childhood Early Intervention Services in South West Queensland. Prior to that she worked as a Senior Consultant with NDIS Participant Readiness at CRU for two and a half years. Sue has more than 30 years’ experience in the disability sector working in roles within government and in the not-for-profit sector. She began her working life as a Speech and Language Pathologist and from early beginnings working in large residential settings developed an ongoing interest in what it takes to enable people with a disability to live ordinary (and extraordinary), meaningful lives in the communities of their choice. This interest has influenced her work as a project manager for institutional reform, a service manager, and a practice and policy developer. Personal assistance. What it is and what it is not – Excerpts. Judith Snow, MA, was a social inventor and an advocate for Inclusion. Her internationally recognized work included consulting and workshops on person centered planning, personal assistance, support circle building, family support and inclusive education. Her goal was to foster an understanding of how people with disabilities can be full participants in communities everywhere, which she did until she passed away in 2015. This article is a selection of excerpts from her article “Personal Assistance. What is it and what it is not”. It can be viewed in full at Inclusion Press: inclusion.com. The following is a selection of excerpts from her autobiography “Reinventing Emma“. These excerpts commence after Emma is recovering in hospital following surgery for an arteriovenous malformation (AVM). The AVM caused a stroke and there were complications from her surgery. CRUcial Times 51: What do we mean by Inclusion?